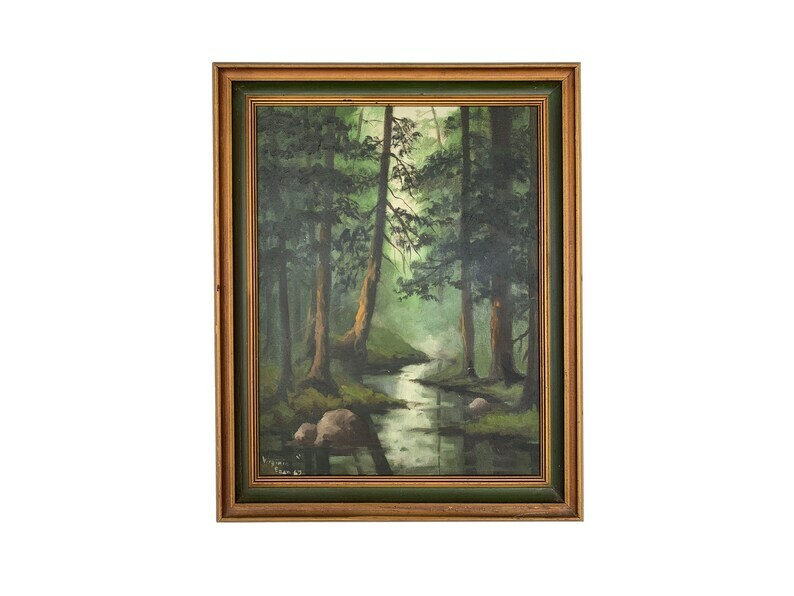 Vintage original oil painting, featuring a forest scene with creek, in hues of browns and greens. Painted on canvas and framed in a green and gold painted frame. Signed Virginia Egan, 1967. Shows signs of age, including some small imperfections, rough/distressed edges on the frame, and some paint splatters. Dimensions: 27.5" x 21.5" x 2.5"